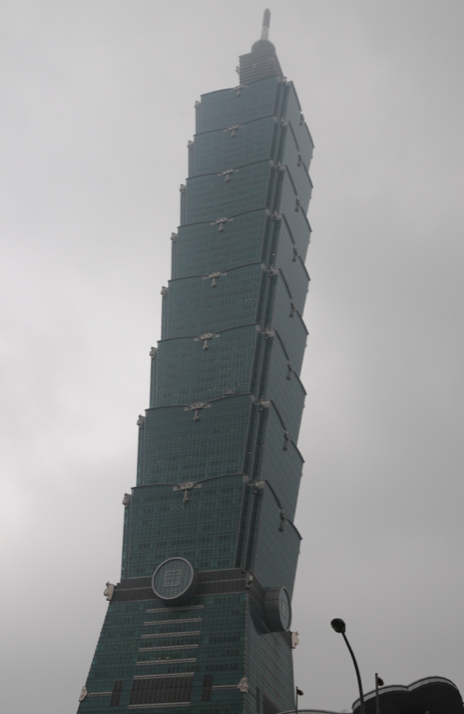 On our final day in Taipei, we decided to visit Taipei 101. This skyscraper was the world’s tallest from 2004 until the opening of the Burj Khalifa in Dubai in 2010. It’s 101 floors tall (hence the name) and it’s often covered in clouds. Unfortunately on the day we decided to visit, it was a grey, rainy day. Still, we decided to go ahead and visit it – at least we can claim that we’ve been there! 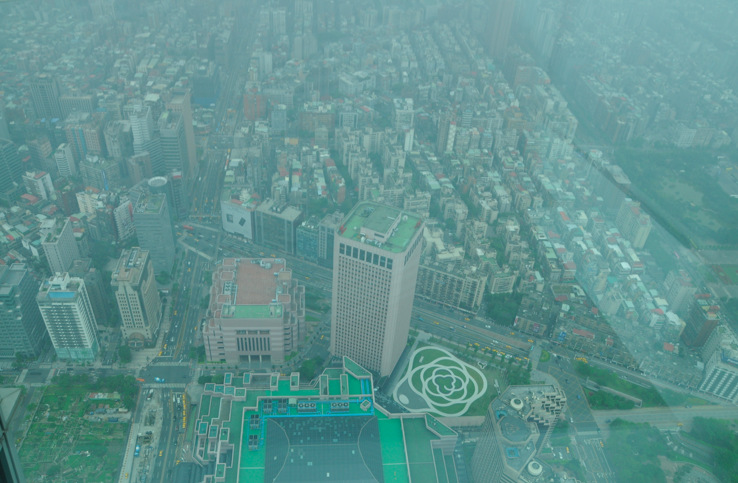 Taipei 101 comprises 101 floors above ground and 5 floors underground. 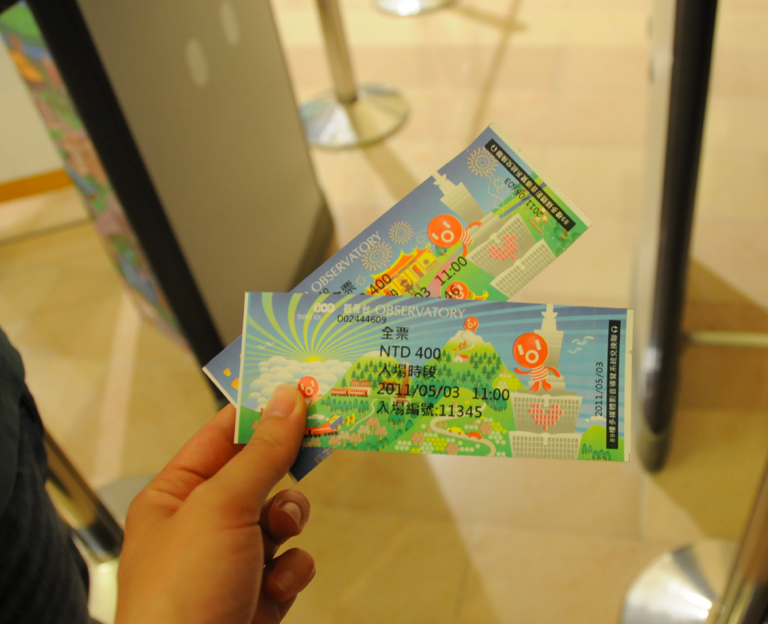 You have to enter through a big shopping mall, with very high-end shops and make your way up to the fifth floor where you can purchase tickets. On the day we went, we did not have to queue. 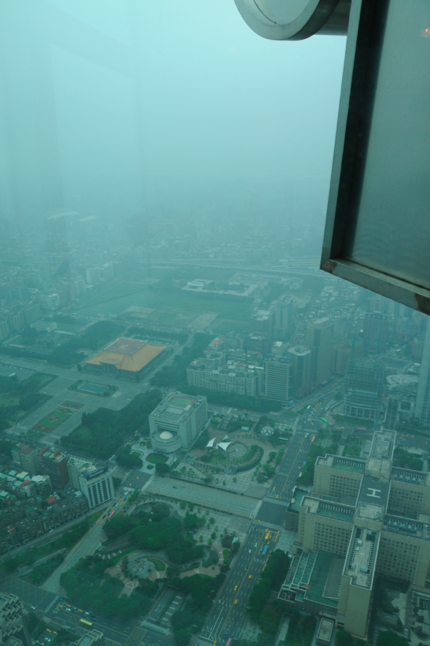 We just purchased tickets and took the world’s fastest elevator up to the top. The lift stops somewhere on the 90th floor (I don’t remember the exact floor) and when you get off, you are in an indoor viewing area. There is another outdoor viewing area, but it’s only open on some days. 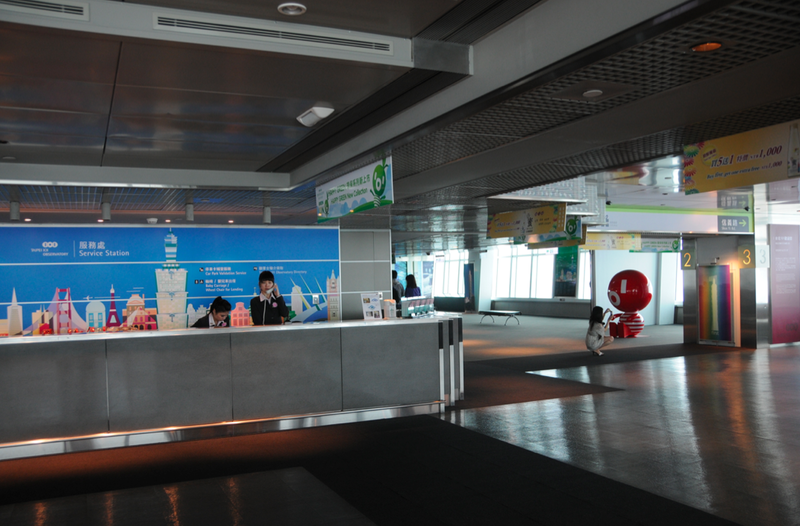 It was closed when we went to visit Taipei 101. 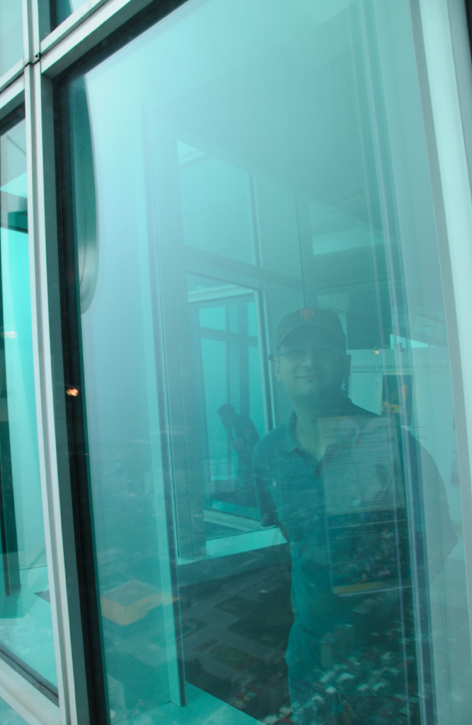 You can walk all around the indoor viewing area to get a 360 degree of the city. I am sure it’s an amazing view on sunny days, but we’ve been unlucky, it was just grey and not very exciting. You could hardly see 500 metres, we just guessed the shape of the mountains!